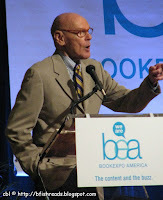 Both author breakfasts at BEA10 were terrific. 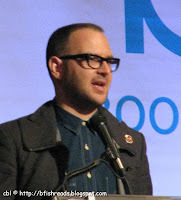 The masters of ceremonies and the authors were incredibly enthusiastic and well spoken. Although I will likely not read every book introduced, I have the feeling each one will be hit. Take a look at the eight books presented at the BEA10 breakfasts and decide which ones you need to read. What a big day: Emily's going to school for the first time-and she's a little nervous. 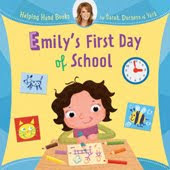 Soon, though, Emily meets new friends, and learns that school can be fun. Children will see exactly what to expect on their first day, and parents will find out how to prepare their child for this important transition. 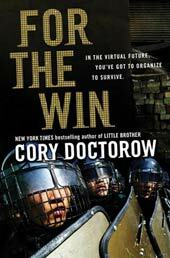 Cory Doctorow's For the Win starts with the popularity of interactive, worldwide gaming and takes the phenomenon into new places. Mala is a brilliant 15-year-old from rural India whose leadership skills in virtual combat have earned her the title of “General Robotwalla.” In Shenzen, heart of China’s industrial boom, Matthew is defying his former bosses to build his own successful gold-farming team. Leonard, who calls himself Wei-Dong, lives in Southern California, but spends his nights fighting virtual battles alongside his buddies in Asia, a world away. 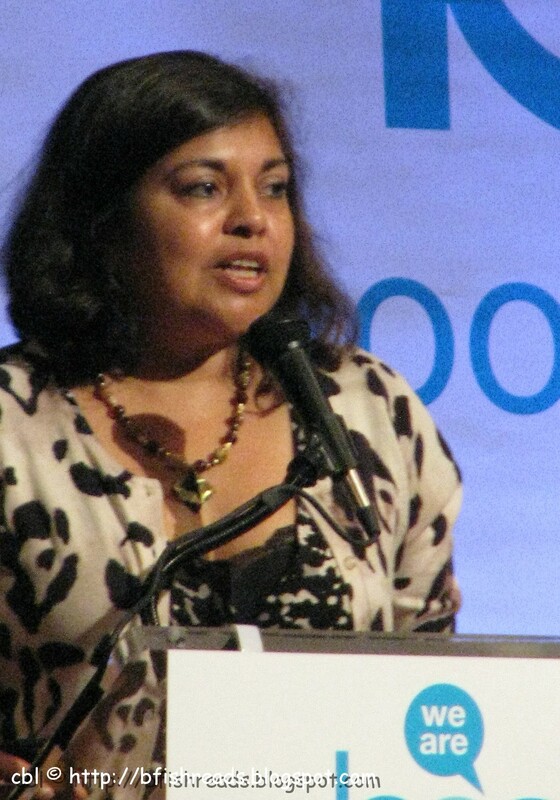 All of these young people, and more, will become entangled with the mysterious young woman called Big Sister Nor, who will use her experience, her knowledge of history, and her connections with real-world organizers to build them into a movement that can challenge the status quo. . . .
Bamboo People by Mitali Perkins addresses real-world oppression in Burma. This novel is my top pick from Wednesday morning's panel. Kerry thinks life has finally begun when she is noticed by the three coolest girls int he school. For once she's in on the jokes and sitting at the right table, and she is willing to do whatever it takes to be part of their clique. 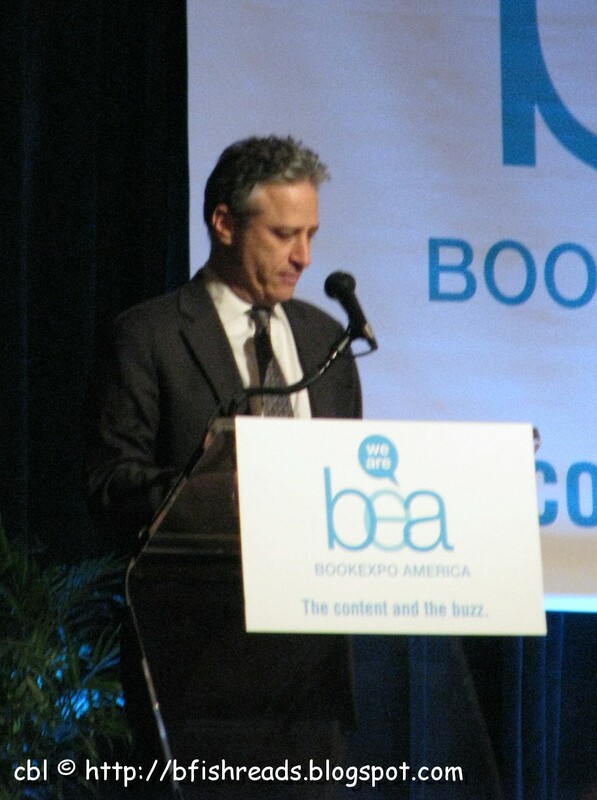 The adult breakfast was hosted by the wonderful and funny Jon Stewart. What a treat! His newest book is Earth (The Book): A Visitor's Guide to the Human Race. I'm sure it will be a winner. Where do we come from? Who created us? Why are we here? These are questions that have sporadically interested people since the dawn of time, but whose answers have continually eluded us. Now, in a new book, Jon Stewart and The Daily Show writing staff tackle these questions and more with their trademark wit, irreverence and intelligence. In it, they will take us on an intellectual voyage through time—a quest back to the very moment of creation—that will maybe, just maybe, help us to figure out exactly how and why everything got so irretrievably f***ed up. . . . It's a heckava place. And who better to be our guide to this endlessly fascinating planet than Jon Stewart and his team of writers, as they answer all of life's most hard-hitting questions, completely unburdened by objectivity, journalistic integrity or even accuracy. 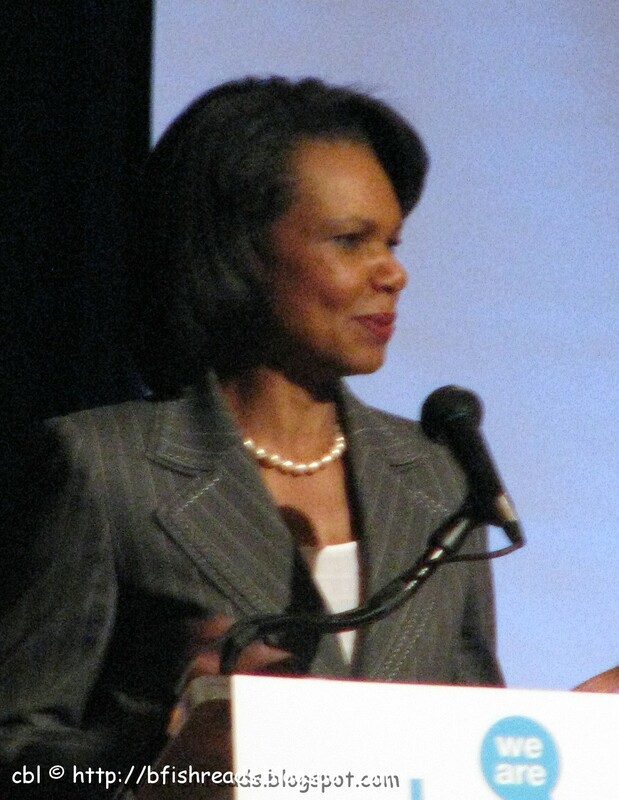 Everyone knows who Condolee zza Rice is, but do you know how her family became Republicans? Do you know anything about her parents and how they managed to help their daughter become world famous? Extraordinary, Ordinary People: A Memoir of Family is an American story, crossing political boundaries.
. . . This is the story of Condoleezza Rice that has never been told, not that of an ultra-accomplished world leader, but of a little girl trying to find her place in a hostile world and of two remarkable parents--and an extended family and community--that made all the difference. On the shoulders of individuals both black and white, young Condoleezza Rice stood and looked out on a world where anything was possible--and in a way that is singularly fascinating, Extraordinary, Ordinary People takes us not just through Rice’s childhood but, also, her twenties and thirties as she builds a record of achievement that positions her for involvement in world-historical events. Okay, confess (yeah, I had to go for it): You have read at least one, if not several of John Grisham's books or you have at least seen one of the many movies based on his work. The Confession (no cover image shown) is his newest, and it's based on the idea that a man is about to be executed for a crime he didn't commit. All through the trial and appeals, the real criminal watches with increasing amusement and satisfaction that he has truly gotten away with murder. But can he let an innocent man die in his place? I love Mary Roach's sense of humor, her curiosity about how things work, her research abilities, and her writing style. 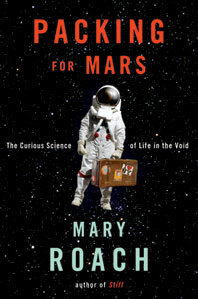 Her Packing for Mars: The Curious Science of Life in the Void is my top pick in this group of wonderful titles. I am a fan of her earlier books and I know that I won't be able to put down Packing for Mars. Two absolutely fabulous events. We were entertained and informed while being exposed to eight must-read books being released in the next six months or so. Which ones will end up on your reading list? 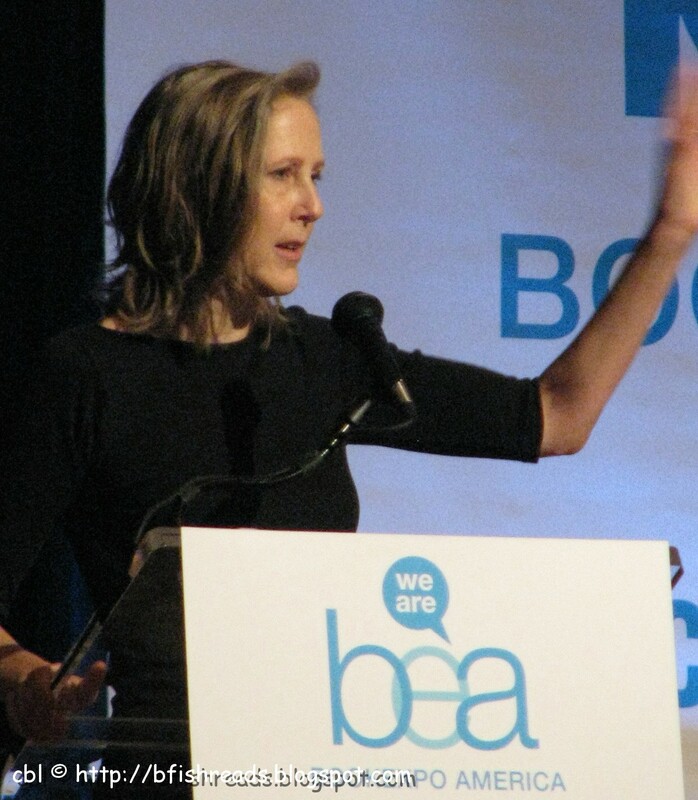 I am so excited that Mary Roach has a new book coming out! 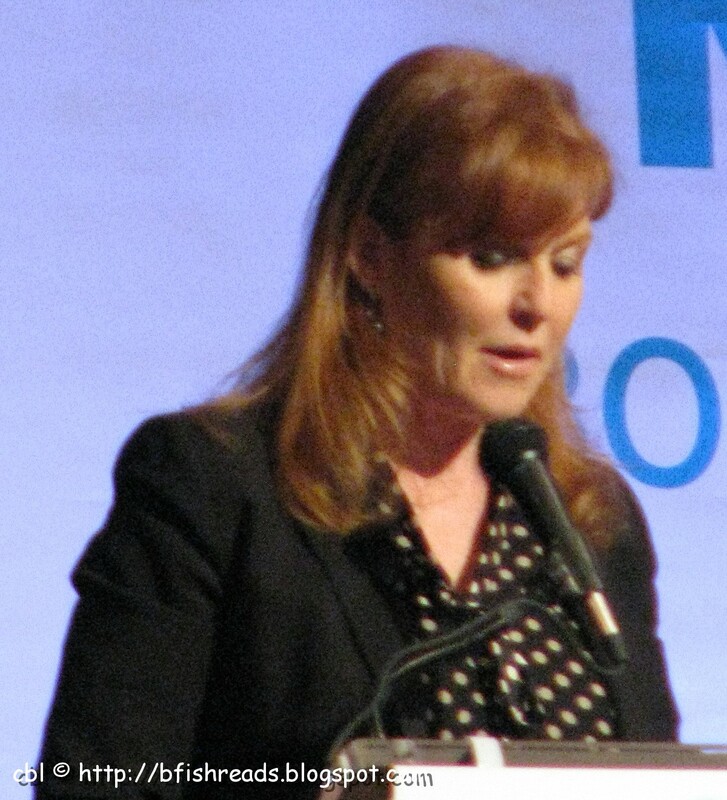 And how amazing to hear her speak in person. I would love to do that. I love her sense of humor too and her way of turning sometimes... unpleasant... subjects on their head and making it so interesting. I will definitely have to get Packing for Mars. Thanks for the recap; I've been looking forward to these posts since last week! I absolutely loved the adult book and author breakfast-Jon Stewart was a perfect host and Mary Roach in particular had just the right blend of humor and intelligence. I can't wait to read her book. Jon Stewart was such a pro to be able to convert the unusually weak Qs in the Q & As to really funny moments. 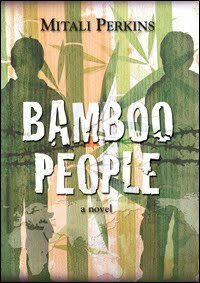 I'm reading Bamboo People right now, and WOW! It's so well written and so powerful. It needs to be a part of every 7,8, or 9th grade curriculum! Thanks for giving us a snapshot of what we missed! I was at the Jon Stewart breakfast and loved it. When he said he was going to read from his book and quietly read it to himself....priceless. I never read Mary Roach but plan to read her new book and Stiff. Thanks for the posting. thanks so much for the summaries! I was hoping to make it to the Adult Author Breakfast with Jon Stewart but had to work. It's good to hear he was funny as always! I loved Mary Roach's STIFF and SPOOK. 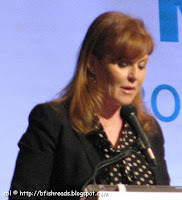 Can't wait for her new book, which I didn't know about until this very blog! Thanks for the recap, as I wasn't able to attend either breakfast. Great summaries! I really enjoyed the children's breakfast. I am anxious to start reading Bamboo People and Richard's book after hearing them speak. They all did a great job in speaking. The Mary Roach book is definitely going on my reading list. I am sure these were unbelievable events! I would love to get my hands on the Rice memoir! What great big names you got to see there! Looks like it truly was a wonderful experience and thank you for sharing it! What awesome panels, Beth!! I had to laugh out loud when I read this post because just last night (literally) I was wondering what Mary Roach was up to these days because I absolutely love her ways of research! And then I come onto your blog today and find this!! I'm so getting that book the day it comes out! The only thing I've read by her is Bonk, but I absolutely loved it..I have her other books but still haven't gotten to them. These author breakfasts sound like so much fun! I haven't read a Mary Roach book yet, so I think I'll check out some of them - this new one sounds interesting. I used to read a lot of Richard Beck when I was a kid - Three Quarters Dead sounds good, too! Thanks for this; I didn't get to NYC until Wednesday, so I missed the tickets. Only a little bit jealous you got to see Jon Stewart. How cool you got to see Jon Stewart!!! I have a major crush on him. And I'm excited to see Mary Roach has a new book coming out!!! I read her book "Spook" not too long ago and really liked it. I can't wait to read more of her stuff. I am not sure that I would ever sign up for an author breakfast on my own - but this post makes me realize how much I would miss. 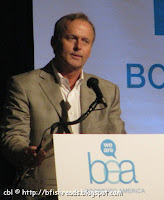 Perhaps BEA 2011??? What a wonderful post especially for those of us who were unable to attend. Of course now I see just what I missed, but still really loved reading about the author breakfasts. I agree - the breakfasts were wonderful. The books I'm the most anxious for are Bamboo People and Extraordinary, Ordinary People.